People worldwide are rediscovering the benefits of buying cheap local food. It is cheaper and fresher than anything in the supermarket and it is tastier, more satisfying and more nutritious. Buying directly from local farmers and producershelps the local economy. In these tough economic times people everywhere are looking for good wholesome cheap meals and food. The old design principle 'Fast, Good or Cheap. - Pick Two'applies to food. Many people with little money tend to choose cheap fast foods as a way to beat the Budget Blues - choosing large fries and cheap burgers, but is this the best way to buy food on a limited budget? 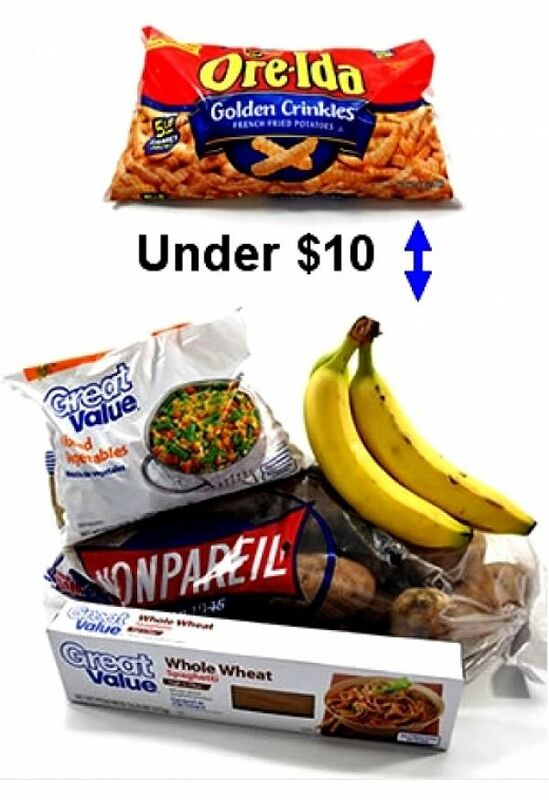 There is a better way by learning how to chose cheap nutritious whole foods and how to use them to prepare healthy cheap meals. 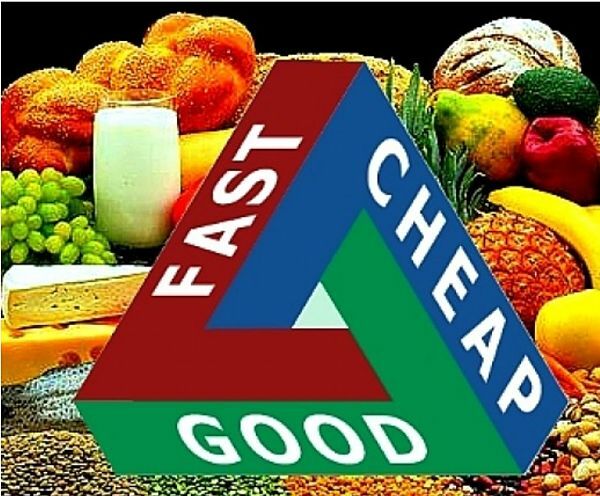 Choosing good quality food that is fast to prepare is generally expensive. 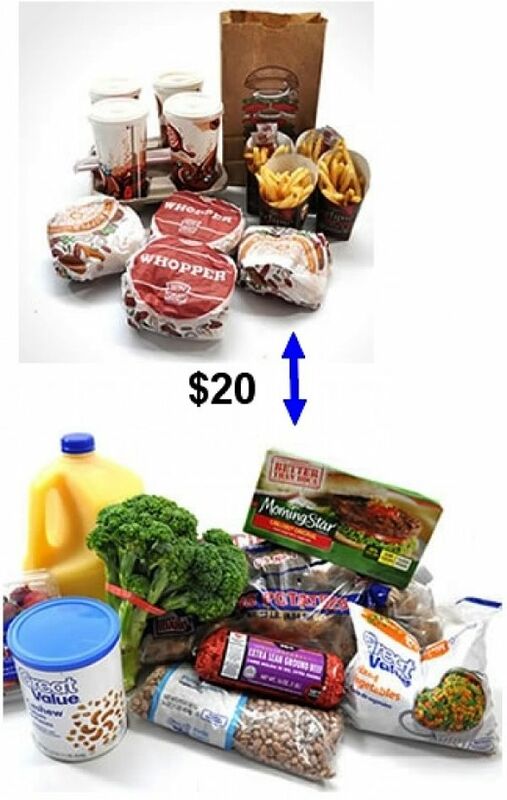 High quality fast foods in the supermarket and quality food choices at fast food restaurants are expensive. 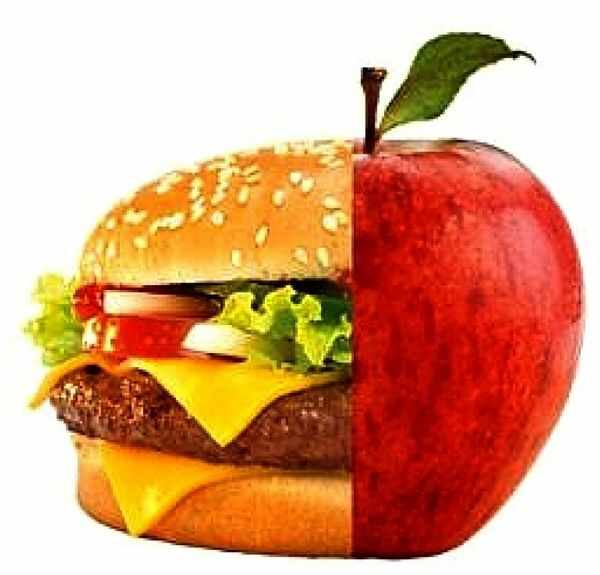 Choosing cheap ready-to-go foods and meals generally mean that the food and meals are highly processed and have inferior quality. For food it is true that you generally what you pay for, and cheap foods which can be prepared quickly are generally of poor quality. There are exceptions of cause such as wheat hearts(Couscous) which can be cooked in minutes. In Britain there has been a tongue in cheek competition to find the world's cheapest lunch. And the Winner is - the toast sandwich. The Royal Society of Chemistry (RSC) has revived this mid-Victorian dish, which consists of a slice of toast surrounded by two slices of bread, which costs 12 cents, was first recommended by Victorian food writer Mrs Beeton, 50 years ago. You simply slip slice of dry toasted bread between two slices of bread and butter, and add salt and pepper to taste. 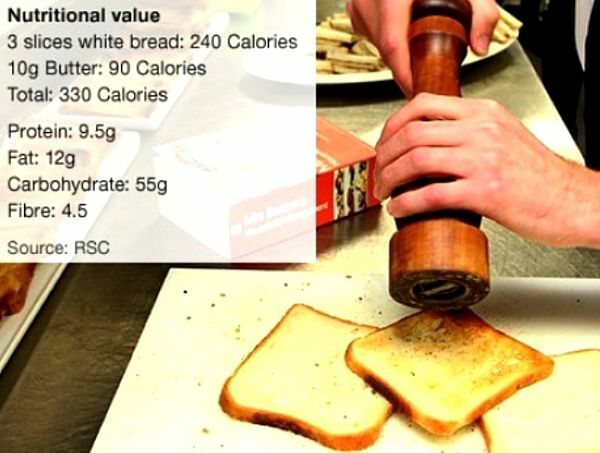 The toast sandwich provides about 330 calories. But would you eat it? You can add an egg for 15 cents, insert half a can of sardines for 30 cents and even add vegetables. Porridge made with water and a pinch of salt is about as inexpensive as it comes. A 50g serving of dry oats costs about 10 cents (from a 1kg bag), and you can add fruit and milk. More examples of cheap but nutritious foods are shown in the tables below. Replace soda drinks and fruit juices with tap water - check what you are paying for drinks - it may shock you! Eat More Eggs which are Full of vitamins - High in protein - Cheap, especially eggs from your own chickens. Cans of Tuna and Salmon - Canned fish is very cheap and contains good fats and as much protein as meat. Alternate tuna with a little lean meat, chicken, eggs, and whey to provide your daily protein allowance. Buy Frozen Vegetables if you can't get quality ones from a local market. You can use just the amount you need, which reduced waste. 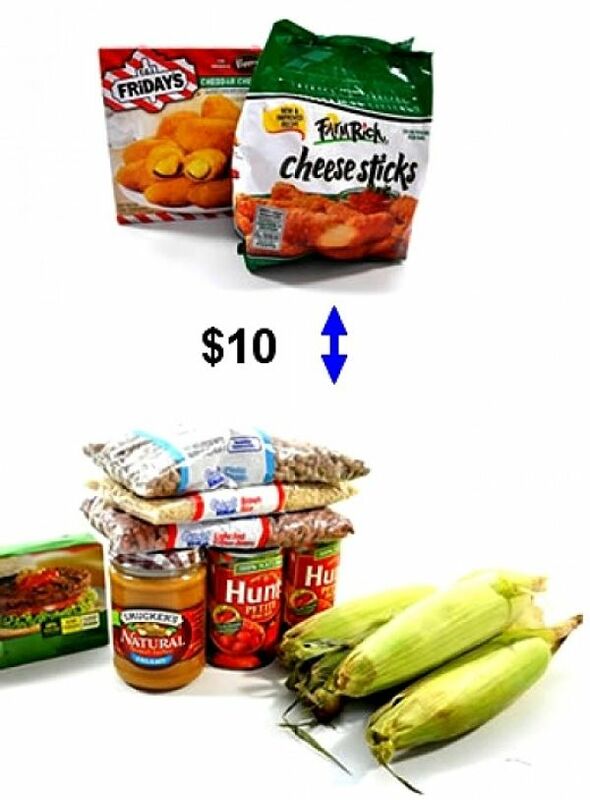 Buy in bulk for discounts and stored in your freezer. 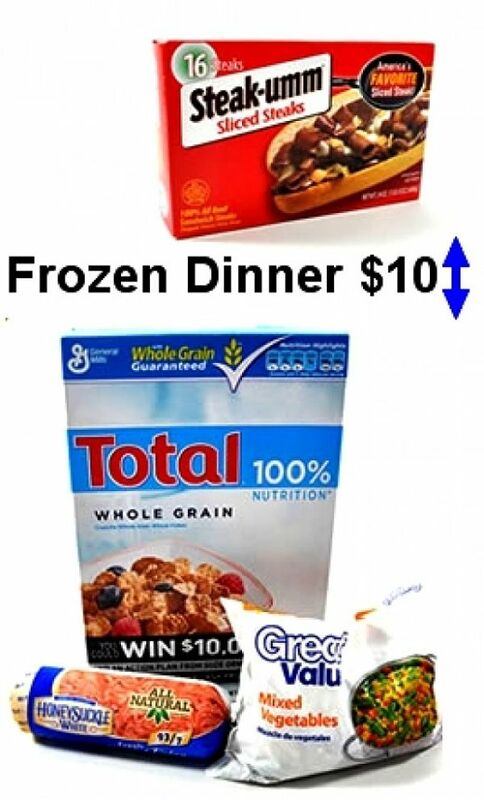 Buy Generic Foods which is cheaper than Brand-name food but be sure it is high quality and value for money. Eat Less. Eat smaller portions. Avoid Waste. 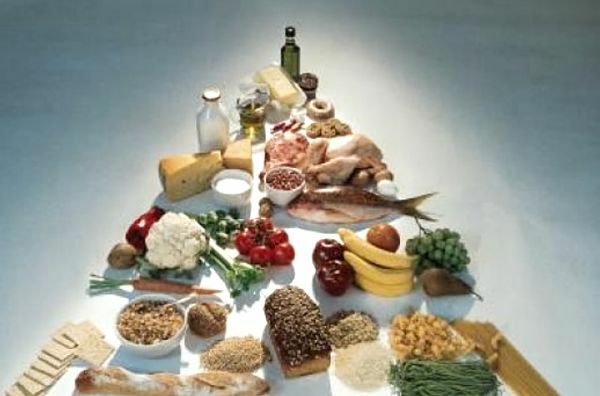 Eat at home as you can ensure the food is what you can to eat and does not contain unhealthy ingredients. Eat seasonally: Find foods that are in season and adapt your recipes to these foods. Eat less meat which is expensive. The tables below provides examples of cheap and nutritious foods, meals and cheap, healthy, fast food choices. 1 medium or large baked potato. 8g fat, 2.5g sat. fat, 20mg cholesterol, 370mg sodium, 13g carbs, 3g fiber, 7g protein.